Meet up at Village Market (8th Ave & California) for a 9am rollout. Come earlier for coffee and pastries. 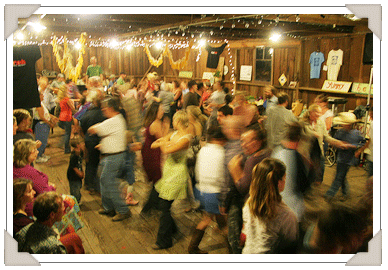 Ride out to Pie Ranch for the monthly barn dance ($10-$20 sliding scale). We might be able to get a ride to the dance in the short bus, but if y’all have been to the farm before, you know how noncommittal Lance can be. 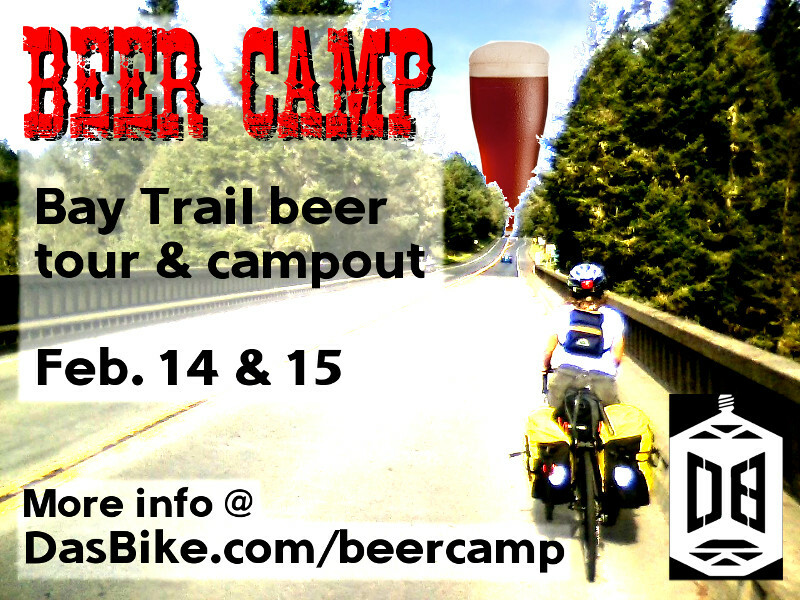 This is a VERY loosely planned ride compared to other events we’ve hosted, more like a ride amongst friends than a full-scale production. We’ll be free to discuss our route and all that jazz in the morning. There’s no event fee for this, but please be prepared to bring food/drink or buy some in town to share with all. There is a limited capacity for this event, so please sign up in advance here. Posted in: Events. Tagged: Ride, Show. 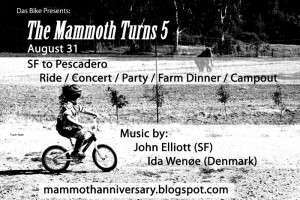 It’s the Mammoth 5 Year Anniversary Party, featuring live performances by John Elliott and Ida Wenøe! Click around to learn more and buy your damn tickets! Along with dinner, music, beer, and good people, there are rumors of naked swimming parties going around. . . .